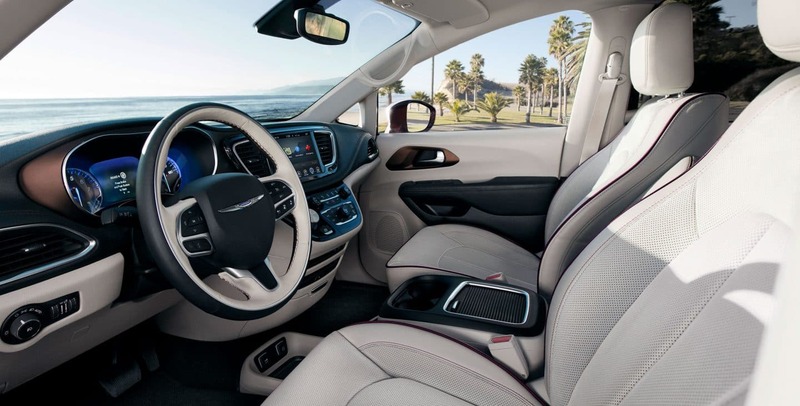 Driving around a minivan is no longer dorky with the 2018 Chrysler Pacifica! 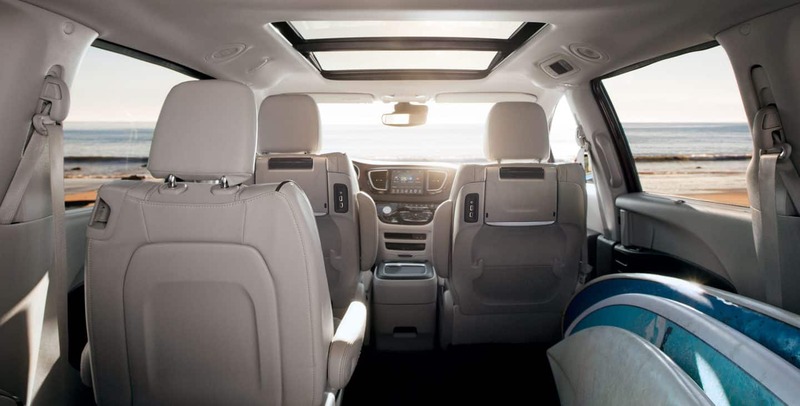 This minivan sports a low-slung and sleek exterior, an ultra-luxurious interior design, and advanced technological features! 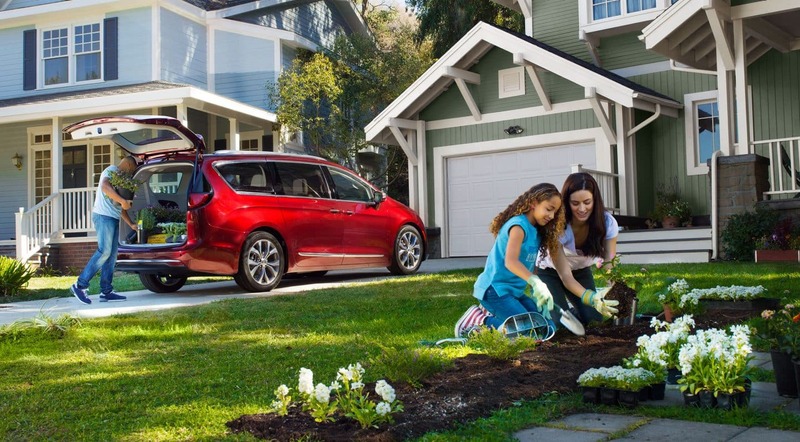 Plus with room for up to eight, this is the perfect minivan for families of all sizes! 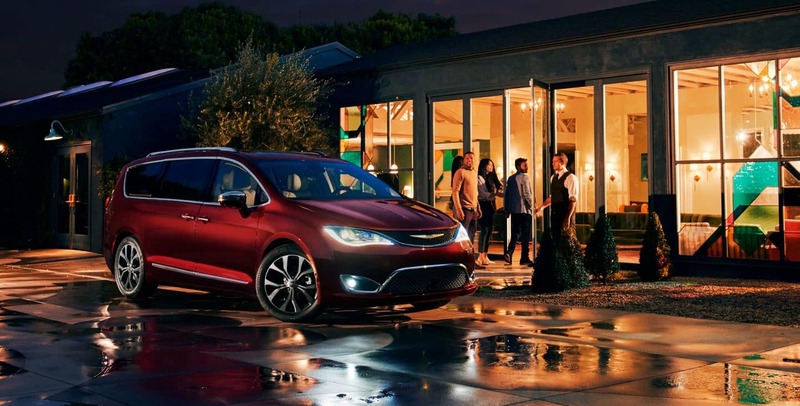 Keep reading our review to learn more about the 2108 Chrysler Pacifica! What are the trim levels and available features for the 2018 Pacifica? The Chrysler Pacifica is offered in six trim levels for 2018: the base L, the LX, the Touring Plus, the Touring L, the Touring L Plus and the top tier Limited! 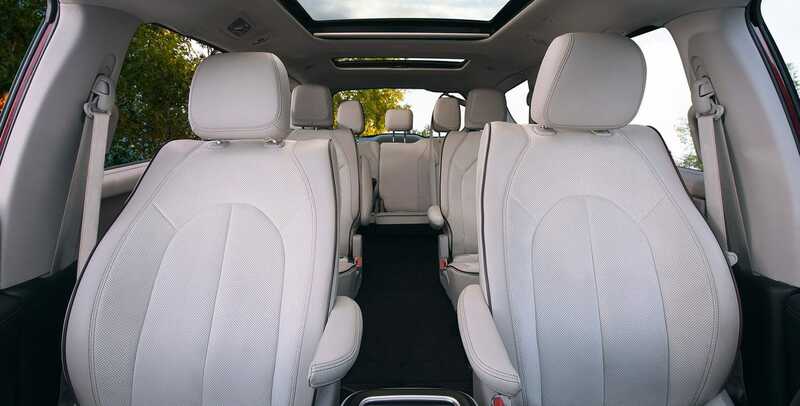 The seven-passenger seating configuration is standard, but all the models above the L can fit up to eight passengers! The base L model comes equipped with standard features like heated mirrors, 17-inch steel wheels, driver door keyless entry and ignition, a rearview camera, automatic dual zone climate control, a third row with 60/40 split folding, and a height adjustable driver seat! 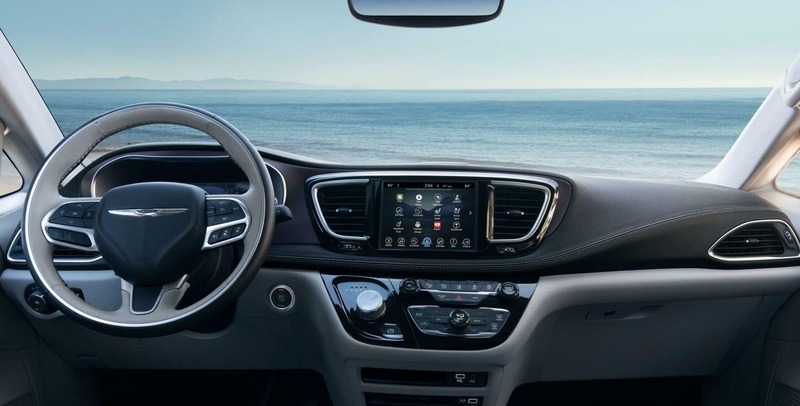 The L models' technology features include Apple CarPlay and Android Auto, a 7-inch touchscreen, Bluetooth smartphone connectivity, an auxiliary jack, a USB port, and a six-speaker sound system! The top of the line Limited comes loaded with great features like LED fog lights, xenon headlamps, an auto-dimming rearview and side mirrors, ventilated front seats, driver memory settings, and premium leather upholstery! Plus an integrated vacuum cleaner from RIDGID to clean up after all the kids, a power folding third-row seat for more cargo room and hands-free sliding doors and even a hands-free liftgate! The Limited has some awesome available features like an upgraded rear entertainment system that adds a 20-speaker sound system, a household-style outlet, an HDMI input, a Blu-ray player and two 10-inch seatback touchscreen! What type of engine is underneath the hood of the 2018 Chrysler Pacifica? 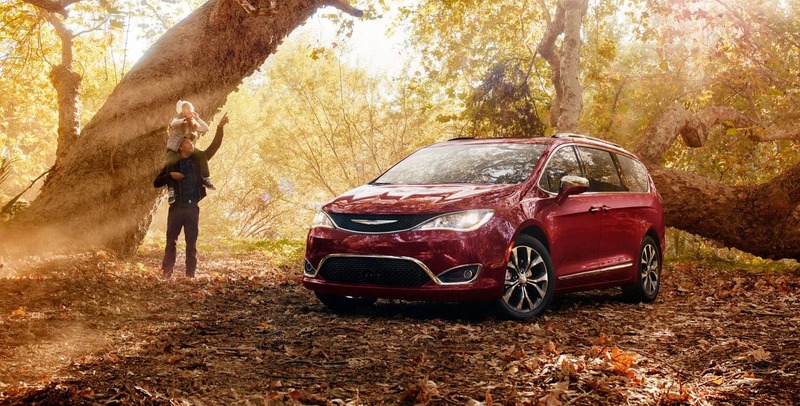 The 2018 Pacifica is powered by a 3.6-liter V6 engine that generates 287 horsepower and 262 pound-feet of torque and gets paired to a nine-speed automatic transmission! This engine and transmission combination make it one of the most powerful minivans on the market today! The EPA estimates that this engine can reach up to 28 miles per gallon on the highway! This engine sounds good and delivers smooth power, and the transmission seamlessly shifts from cruising down the street to full throttle! 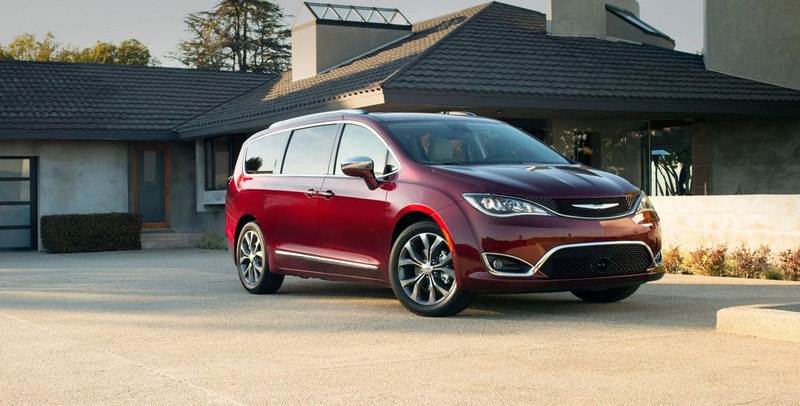 What are some of the standard safety and security features for the Chrysler Pacifica? The 2018 Chrysler Pacifica knows safety is a priority in a family vehicle! 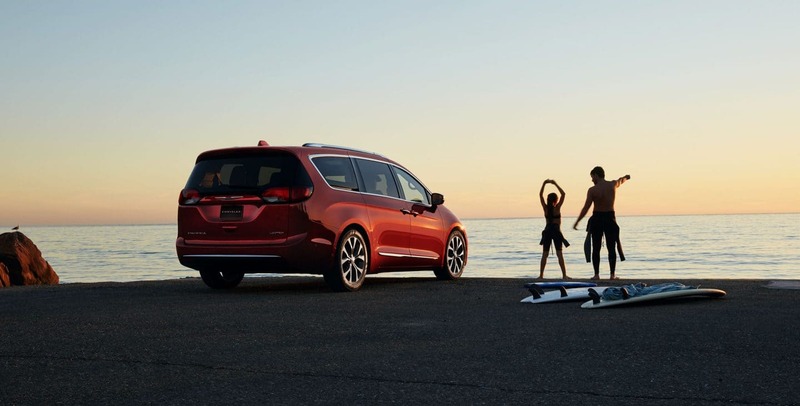 The standard safety features in the Pacifica include auto delay off headlights, blind spot warning accident avoidance system, brake drying, child seat anchors, and daytime running lights. As well as dual front side-mounted airbags, front, rear and third-row head airbags, and passenger airbag occupant sensing deactivation. Traction and stability control, a post-collision safety system and emergency braking assist are also standard! Chrysler offers KeySense which lets parents set speed and volume limits, restrict satellite radio channels, and activate all driver aids in the Pacifica with a specific key! For security, you'll find a remote anti-theft alarm system and an engine immobilizer! The 2018 Chrysler Pacifica is a truly fantastic minivan that offers something for every family! Visit Lakeland Chrysler Dodge Jeep Ram today to see a Pacifica for yourself! You can test out all the fantastic features (like the vacuum!) and take one for a test drive! Fill out the contact form below if you have any question to start a conversation!